East TN mountains are our backyard. Daughter of God, helpmeet to Joshua, mommy to four so far.. Does anyone know if this herb is safe to use during pregnancy? I am 36 weeks along and have developed a horrible cough. I actually thought I pulled a stomach muscle from all the coughing, it's very painful. The doctor's told me I could take Robitussin, etc, but I don't want to. However, I do want this cough to be gone NOW. So I've been searching on here trying to find something specific to just coughs--I don't have a sore throat or anything like that, just this annoying, unending cough! Help! Youse are fabulous. I think I'll keep you. Samsgirl, THANK YOU for the link!! 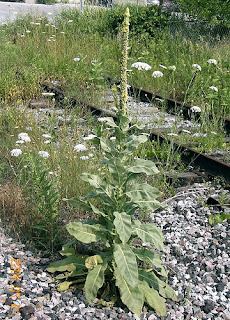 That is exactly what I was looking for today I picked and dried a bunch of mullein this week and meant to look up exactly how to use it, thinking i had until fall when colds often kick in. Lo and behold, my 5 year old came down this morning feeling yucky...thanks for saving me some time!